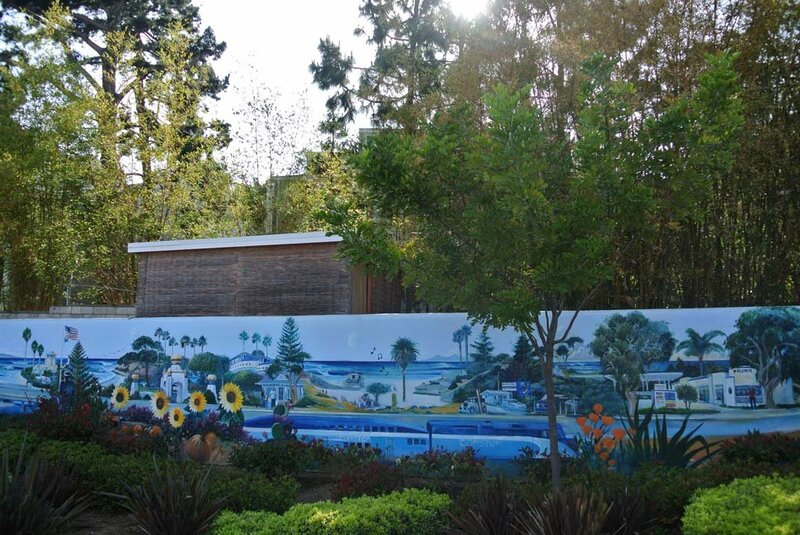 ENCINITAS — When was the last time you walked through Encinitas and stopped to look at a mural? 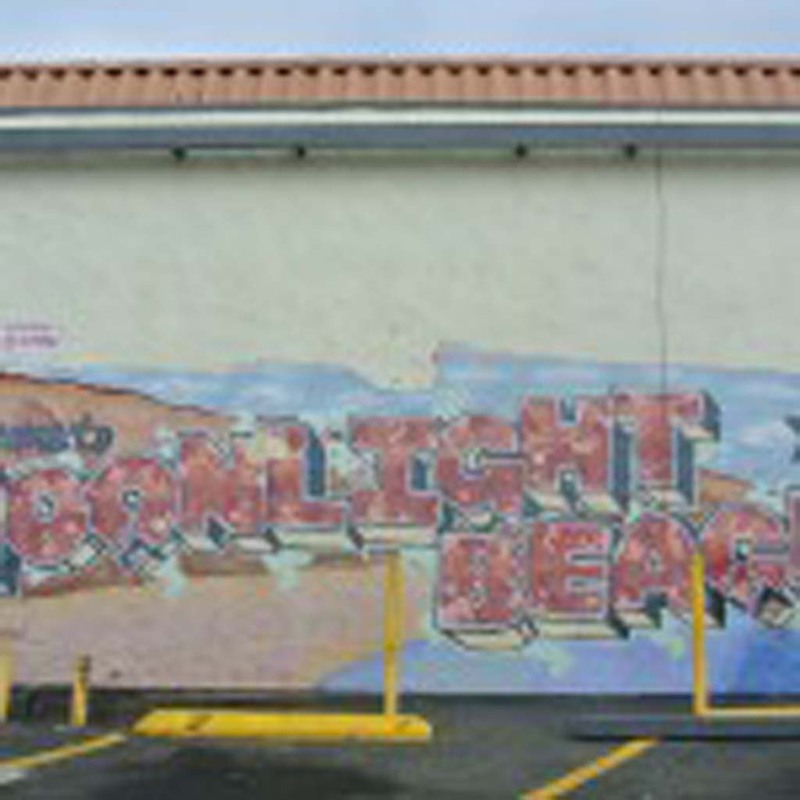 Chances are, it wasn’t too long ago. 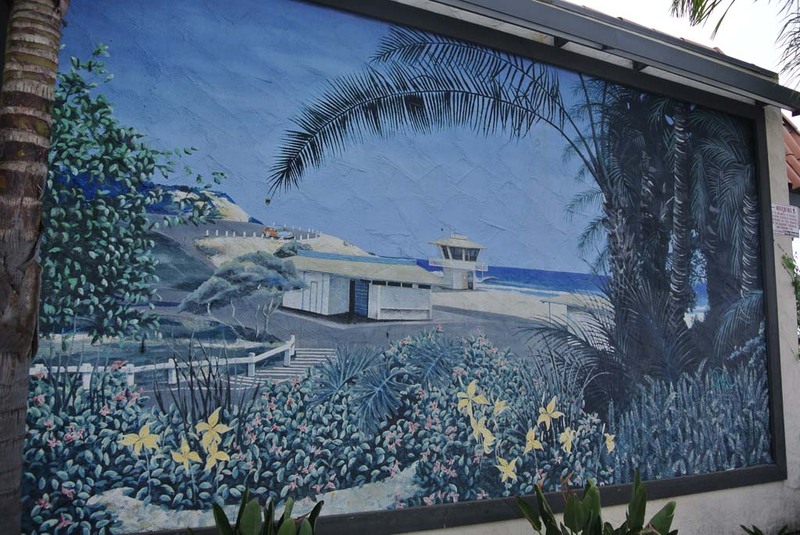 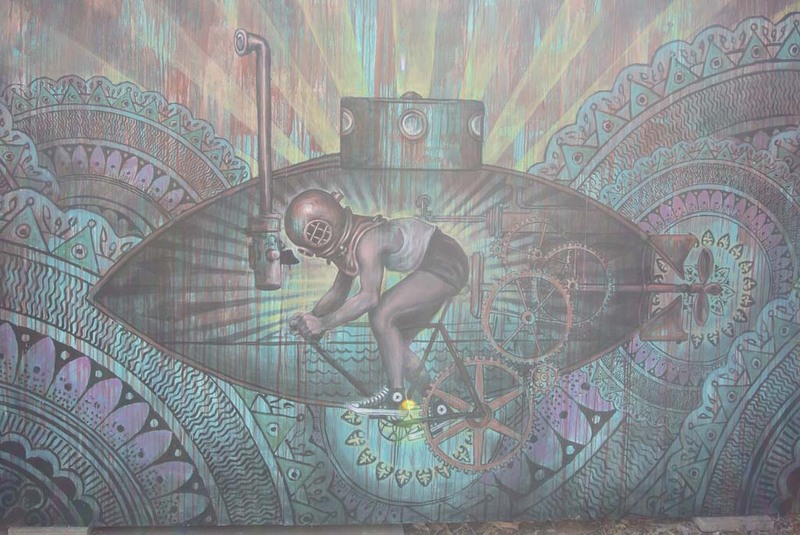 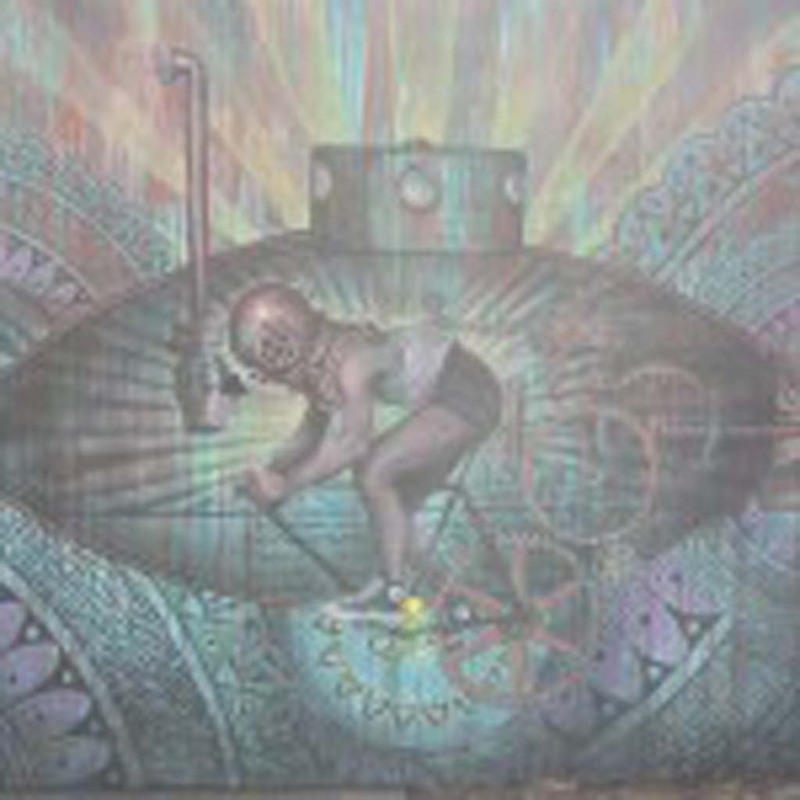 Encinitas is strewn with murals — some hidden behind buildings and on nearly every street corner. 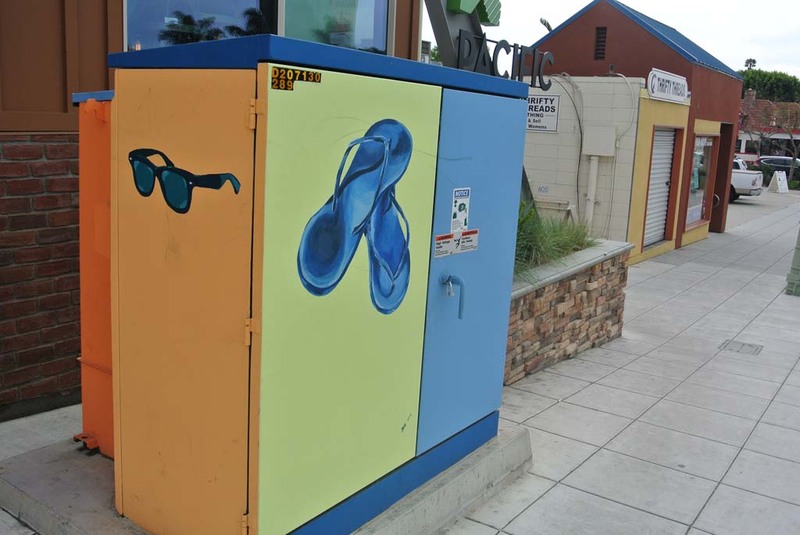 Private businesses sporting painted entryways have become the new norm and you can even find city-owned mosaics and art pieces in select areas across town. 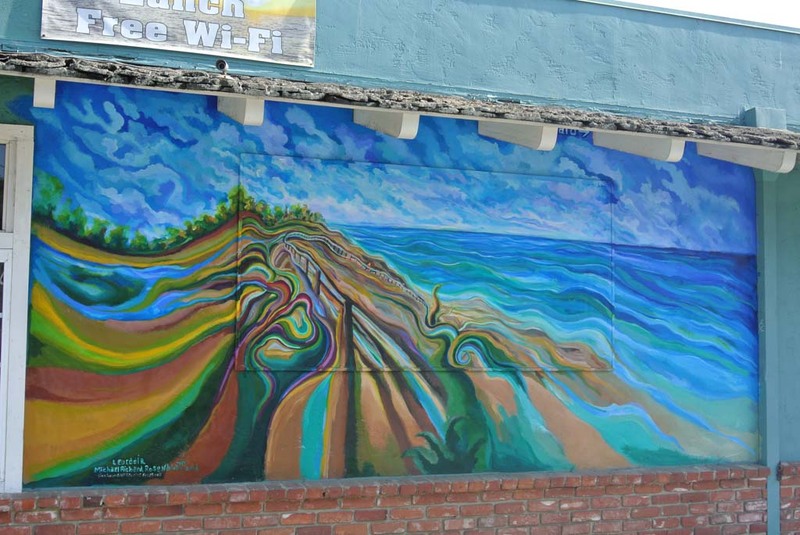 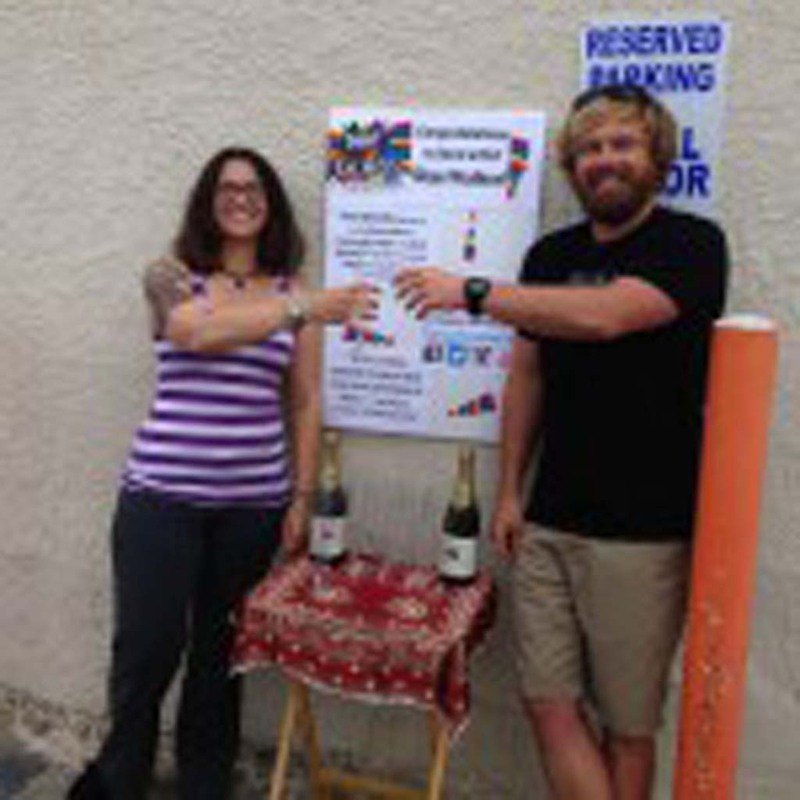 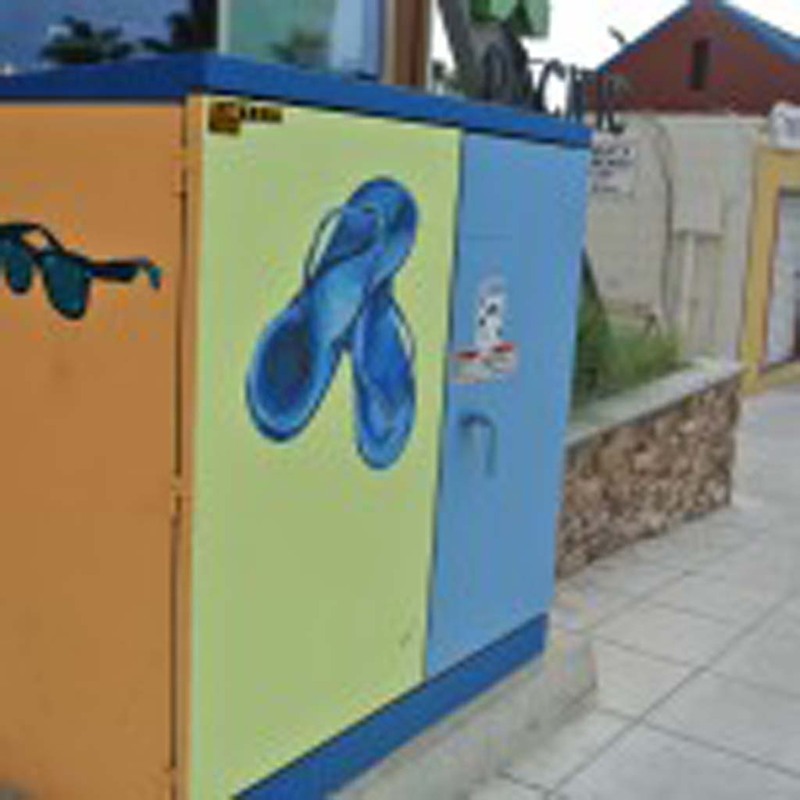 Yet, despite its encouragement of the arts, Encinitas doesn’t have a budget for public art. 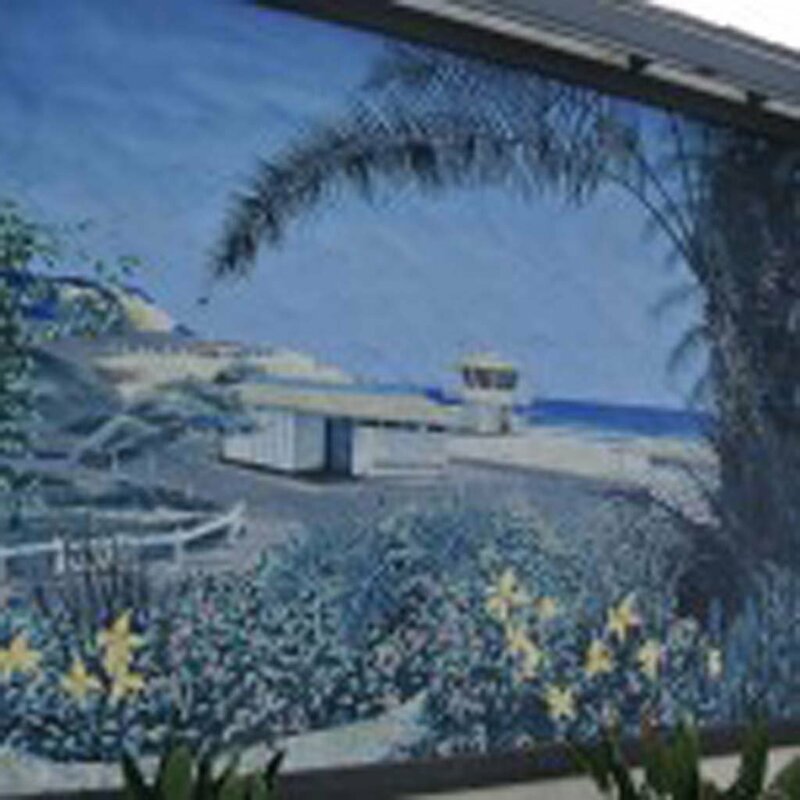 “We have a maintenance budget for the public art in the city’s collection, but we do not have funds in place for public artwork,” said Encinitas Arts Administrator Jim Gilliam. 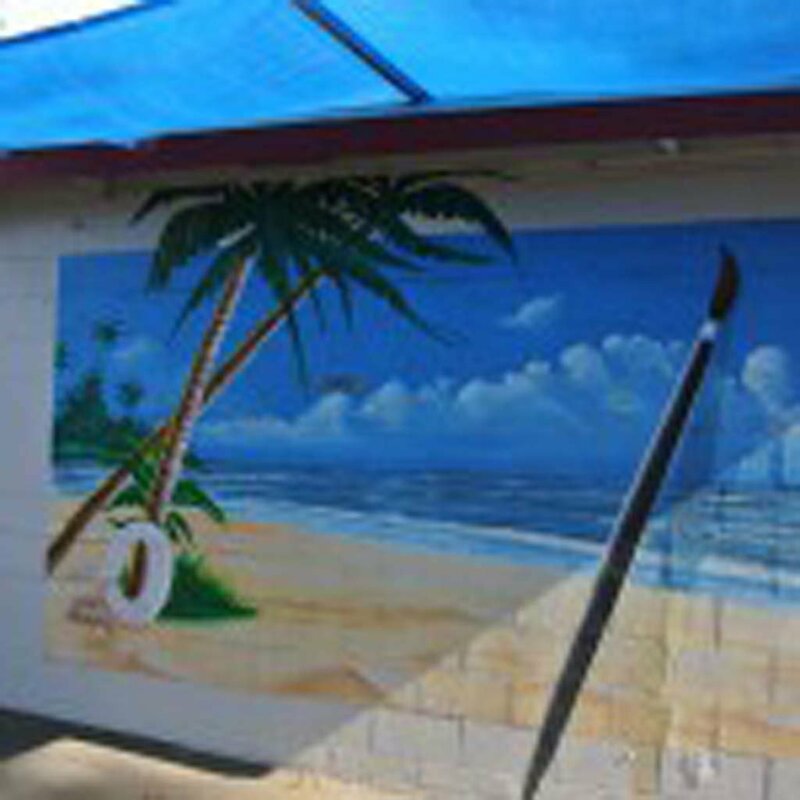 So where is all of the art coming from? 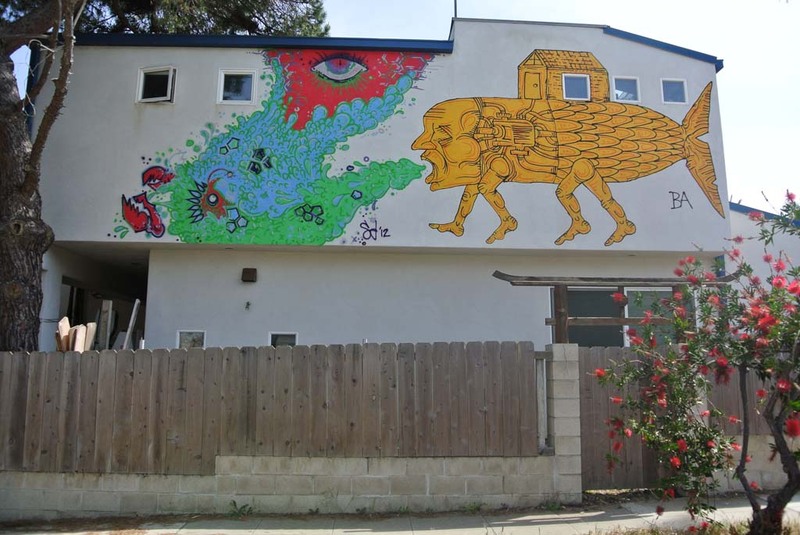 Some of it originates from organizations like the 101 Artists Colony, and more and more should be arising from the city-based Encinitas Commission for the Arts. 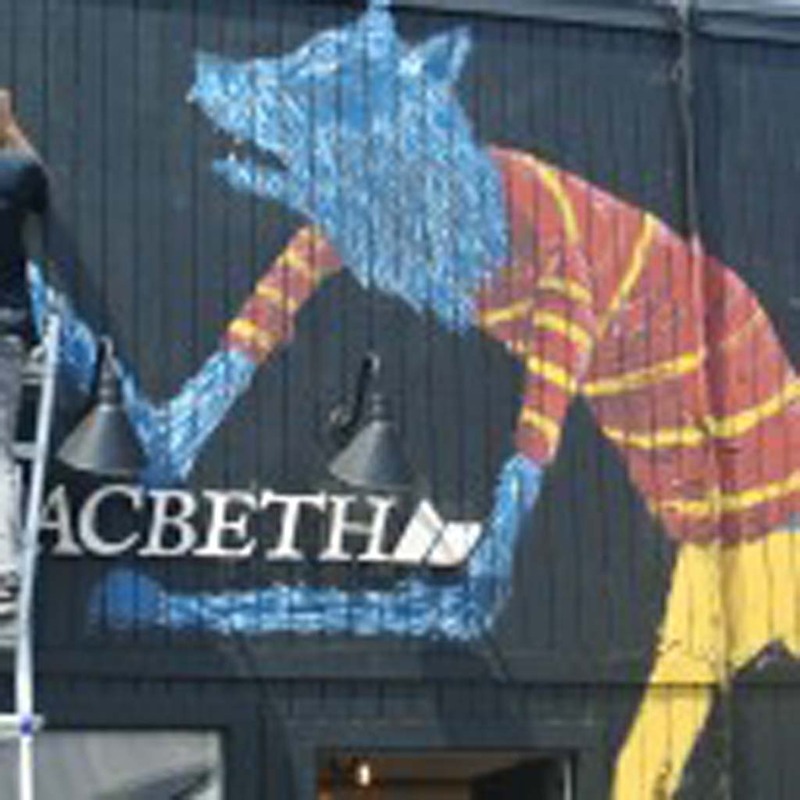 “The Commission for the Arts is working on a ‘Percent for Arts Policy’ and we plan to bring it to the City Council in the summer. 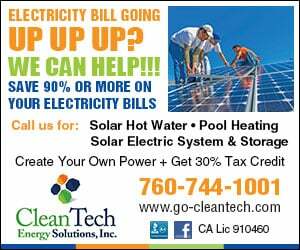 But we are just at the beginning stages right now,” said Gilliam. 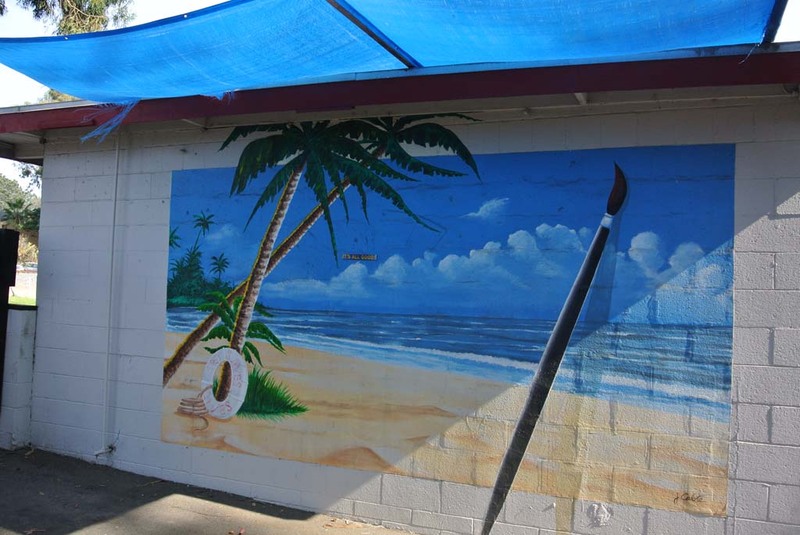 But most of the art you see on a day-to-day basis comes from somewhere else — the artistic eye of private home and business owners across Encinitas. 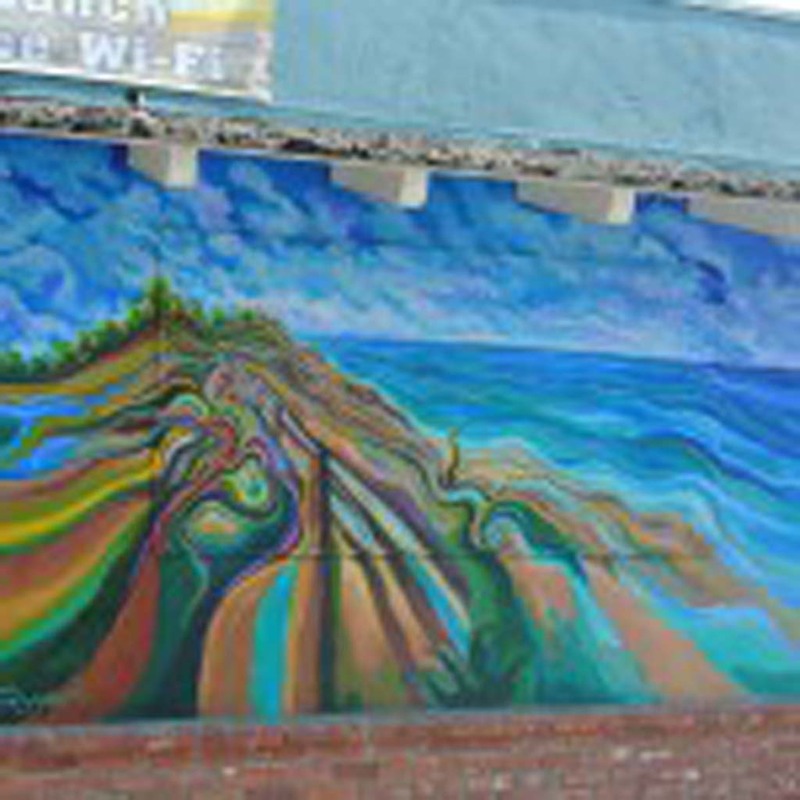 It’s nearly impossible not to spot a mural or two when you stroll by storefronts up and down Coast Highway 101. 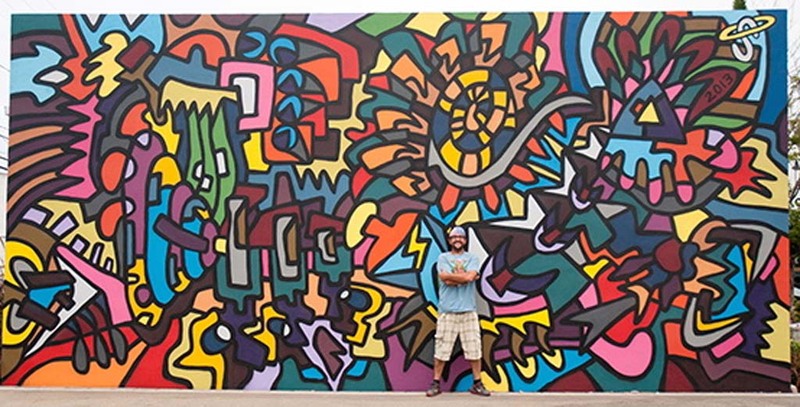 What makes the city such a hub for privately owned public art and mural work? 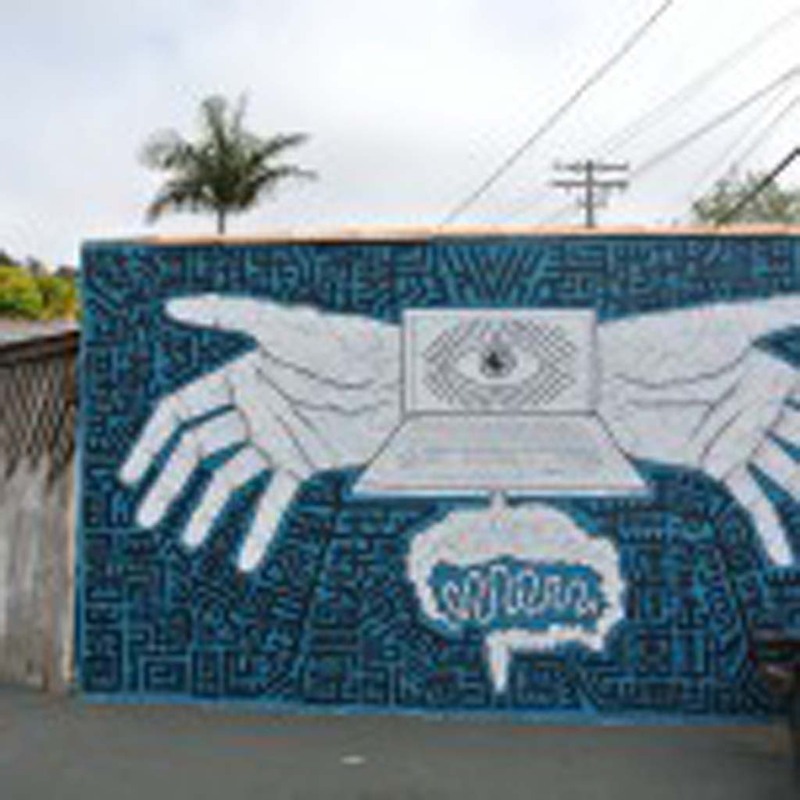 Jax Meyers of Paint Encinitas took a stab at answering the question while leading a walking tour of all of the murals in the city. 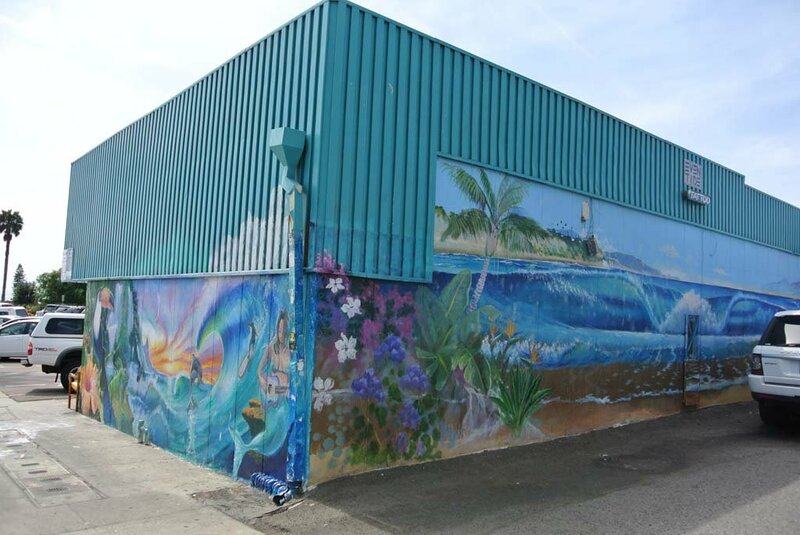 “I think it has a lot to do with the fact that we have a lot of local businesses here who want to hire artists to paint their walls. 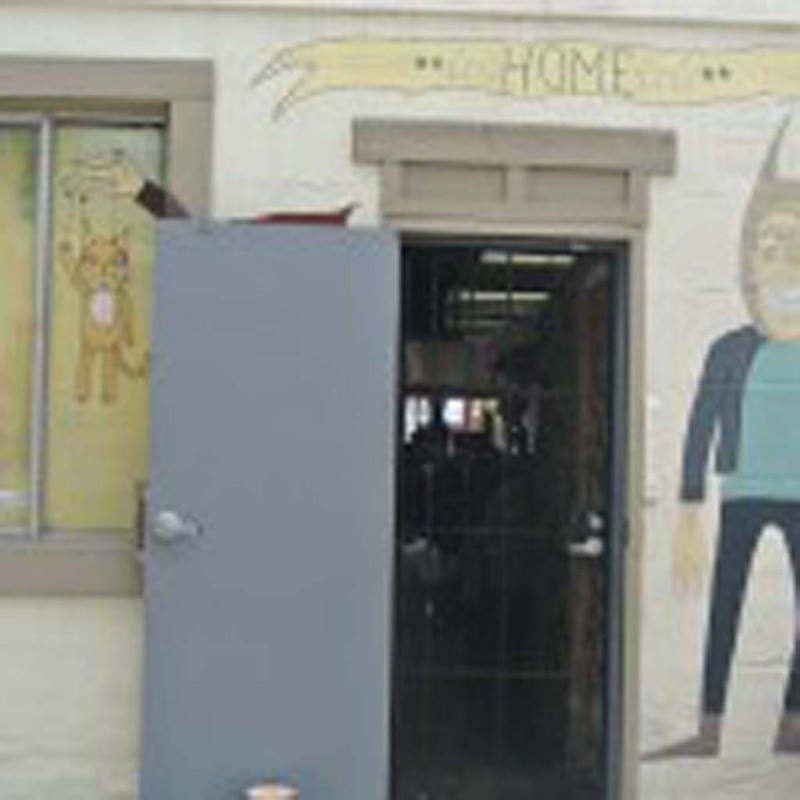 And we have a community of artists here, a huge community of art patrons here, and just a big community of creators,” Meyers explained. 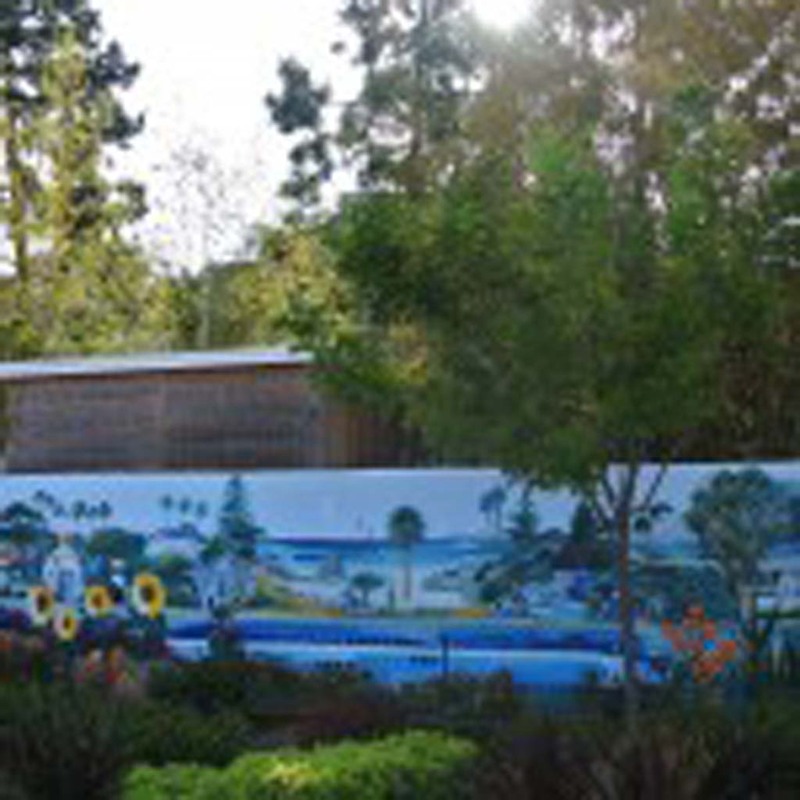 A newcomer to the city’s arts world, Paint Encinitas provides a fresh initiative towards the pursuit of the arts. 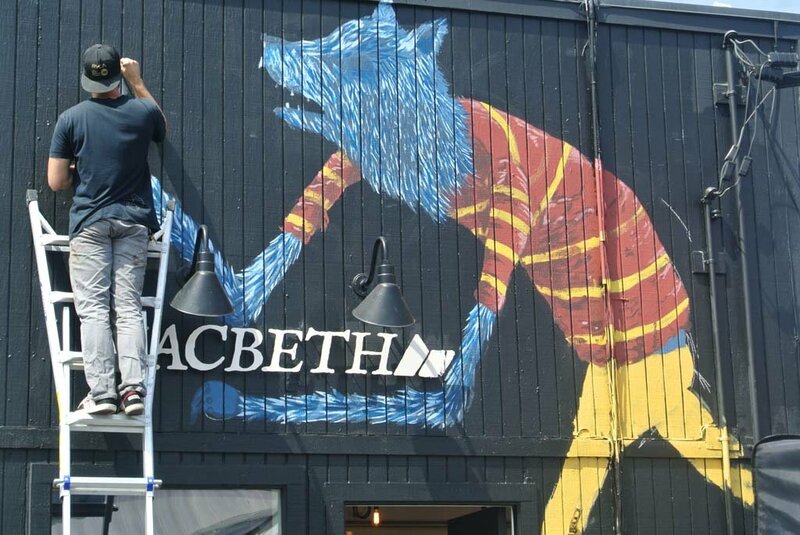 “We want to be the leading pioneer of the public arts movement by organizing accessible visual and live art events that keep our town fresh, noteworthy, and funky to its roots,” Meyers said. 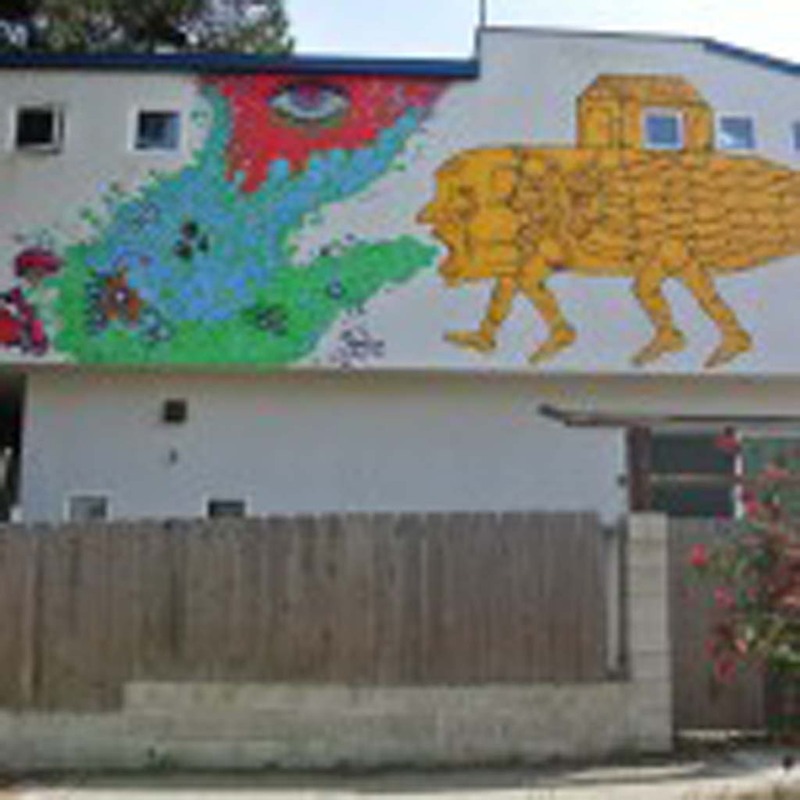 Skye Walker, a contract graphic designer illustrator and muralist from Big Bear, Calif. is one of those artists who has gravitated towards Encinitas’ art-conscious culture. 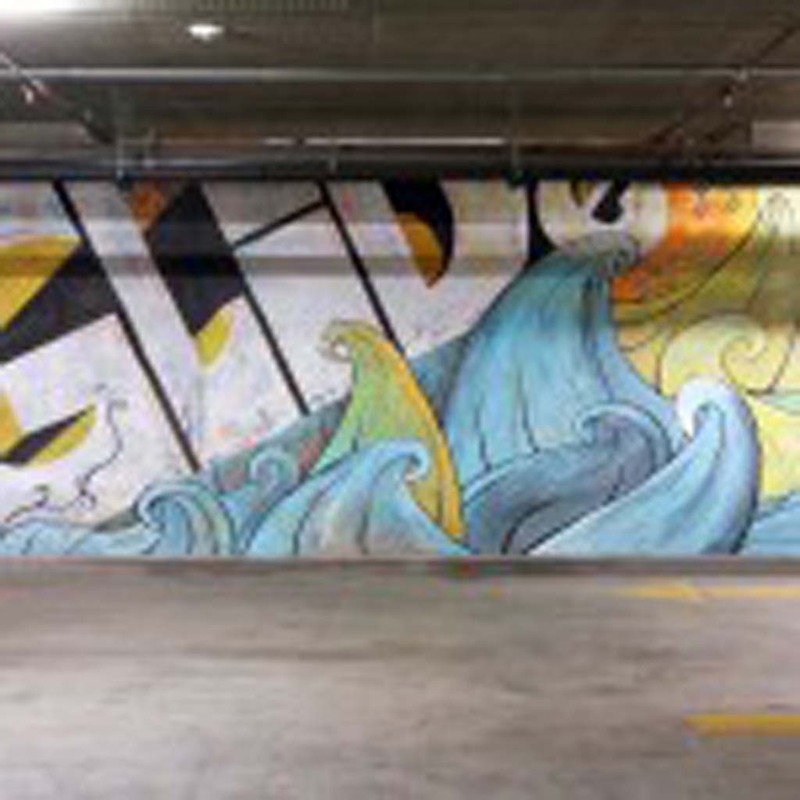 Walker spent eight years working as the art director and senior designer of major companies such as Rip Curl and prAna. 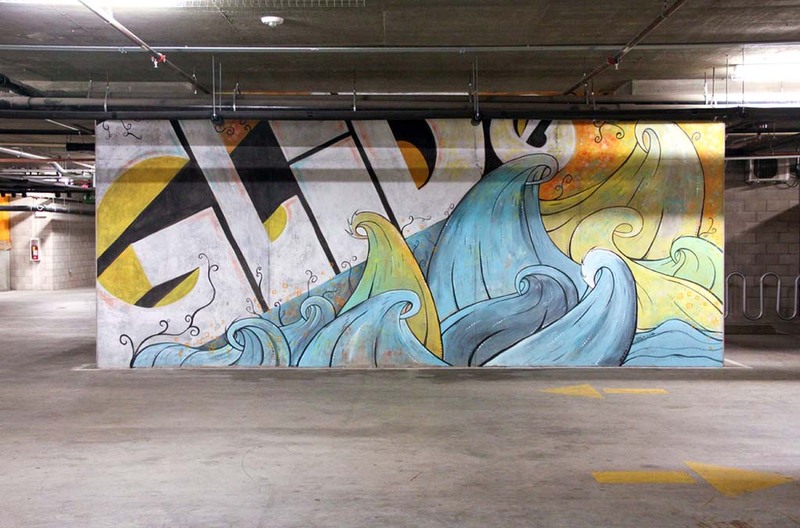 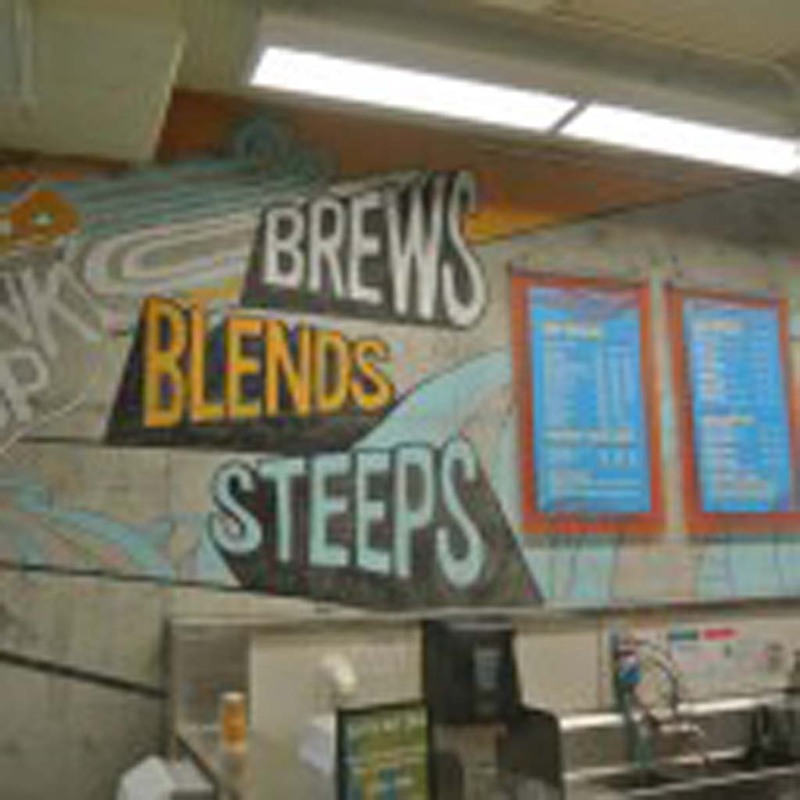 However, he dove back into the world of mural work when Whole Foods in Encinitas hired him to paint the inside of the store. 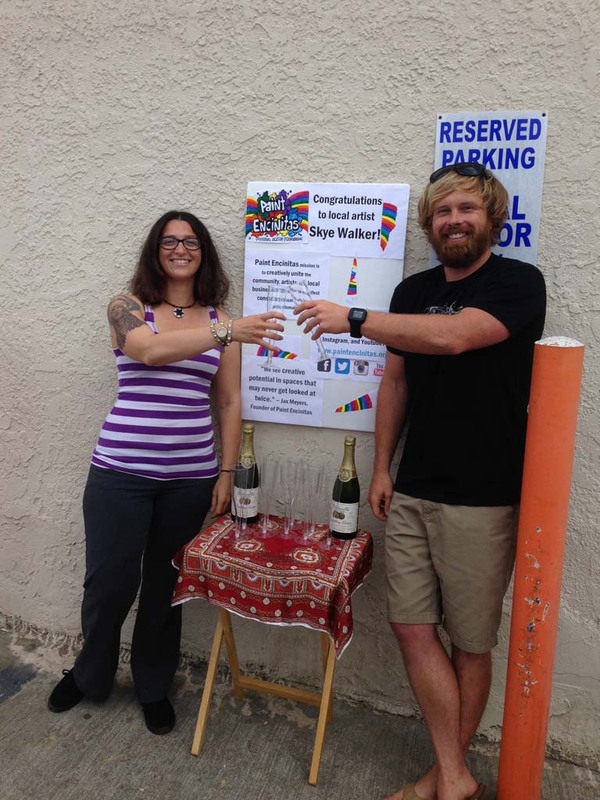 Local artists like Walker and art patrons like Meyers, see the value of public art and are dedicated to bringing it to the community. 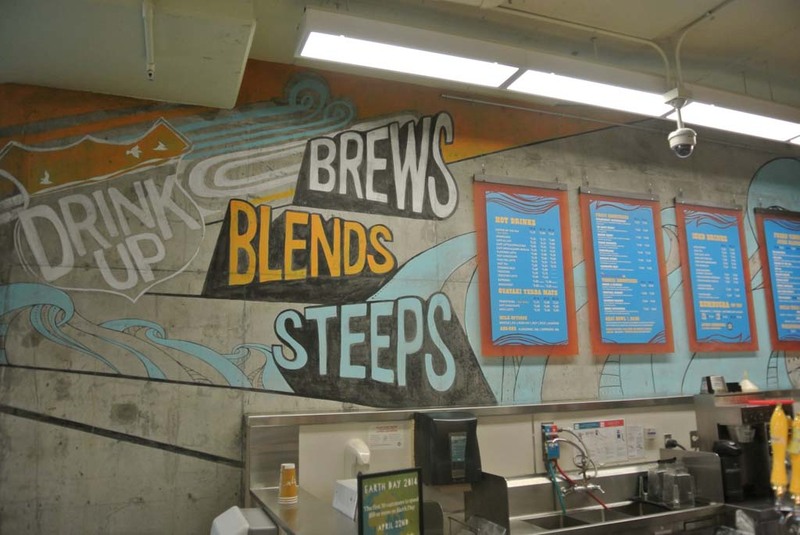 Walker’s mural work can also be seen inside Cafe Ipe, the Encinitas Whole Foods parking garage, Pandora’s Pizza and Mesa Rim Climbing Jim. 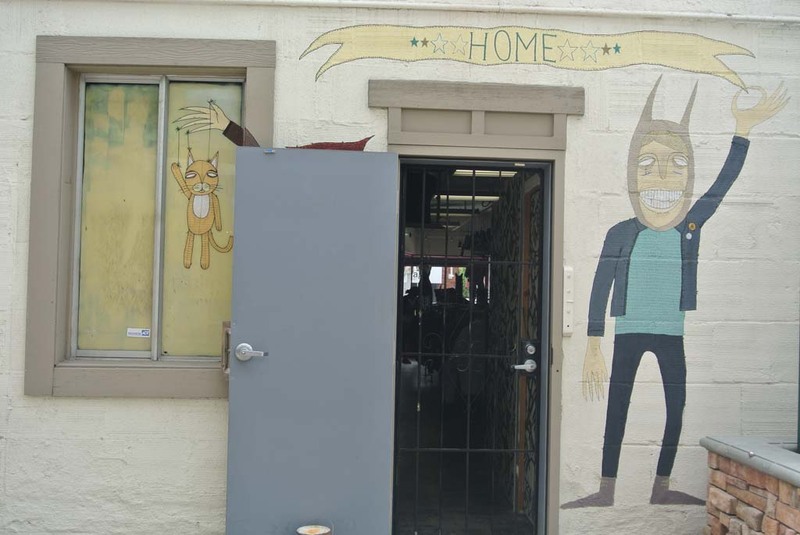 Adding to the melting pot of the Encinitas art scene, a Honduran artist called Santos set up shop in his art gallery in Leucadia four years ago and is also contributing to North County’s art world. 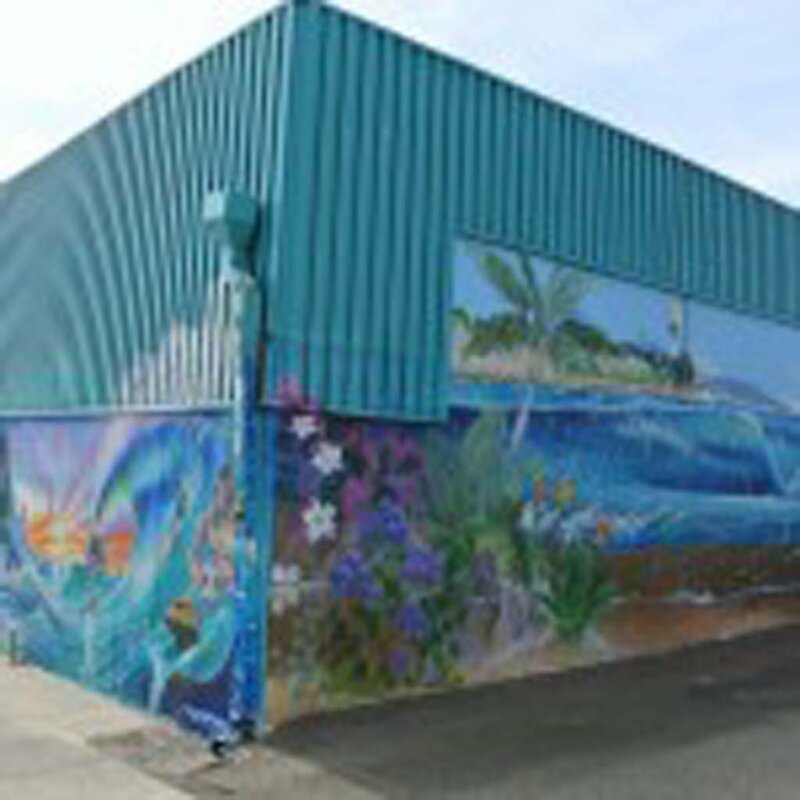 Inside his gallery, situated next to Surfy Surfy, you can find his paintings stretched big and wide across enormous canvases reflecting bright colors and bold patterns. 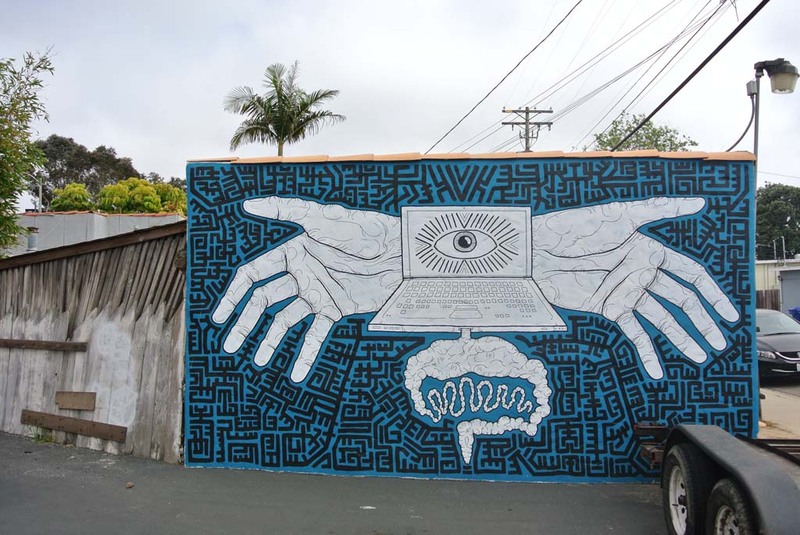 Because of their socially active and publicly present nature, artists like Santos and Walker have become fixated upon the creation of mural-work. 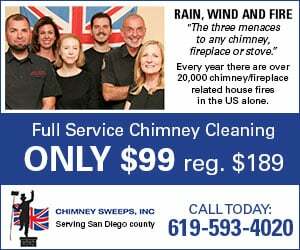 And they aren’t the only ones. 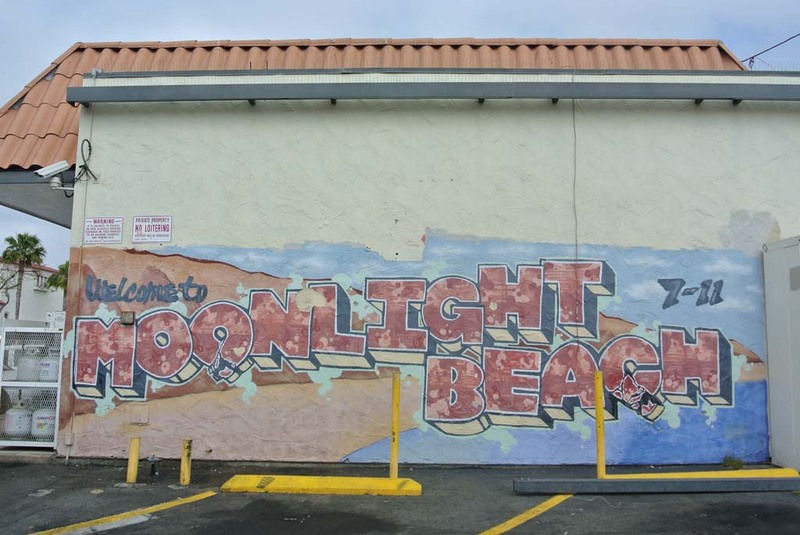 Artists across Encinitas are convening and partnering up with local businesses to create a more beautiful, unique and socially engaged city. 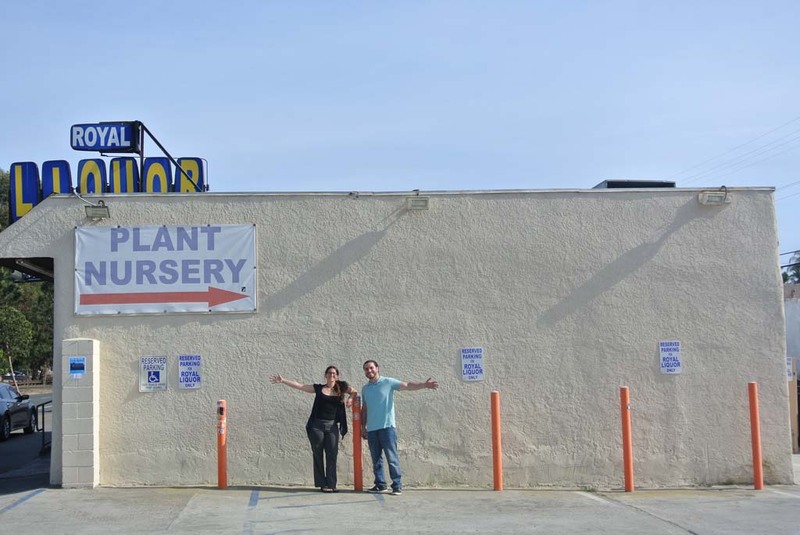 Most folks never forget their childhoods and dessert cookbook author Jackie Bruchez is no exception.